What is Tax-Free shopping? It is a VAT refund option. It gives international shoppers an opportunity to purchase some goods in the country they are visiting under a condition of exporting these very items out of the country in question. Today, PaySpace Magazine suggests to you how to use a Tax-Free shopping option, and what you need to succeed with a VAT refund. Buying items and claiming a refund is quite a convenient option. This means foreign visitors can buy different things while visiting a country and obtain prepared Tax-Free forms. 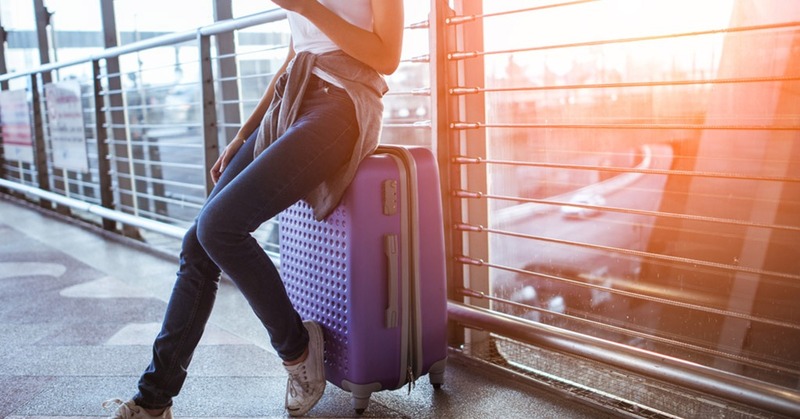 The most important condition for Tax-Free shopping is to document that you leave a country (where you’ve apparently bought specific goods), thus get a customs Tax-Free stamp, which informs the system that you intend to export goods out of the country. 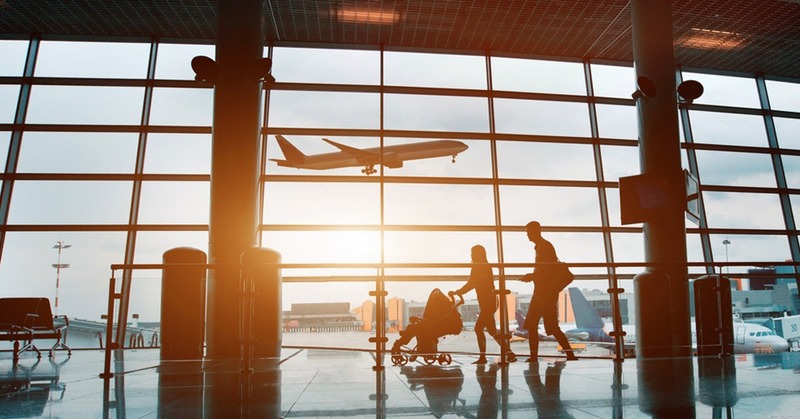 This way there is a chance for a traveler to get a VAT refund. 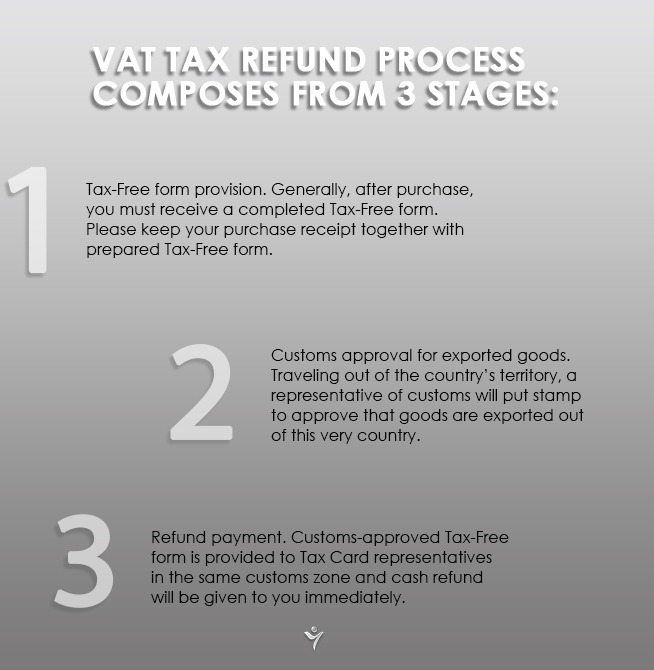 There is also possible to send customs-approved Tax-Free form by post. At this point, a Tax-Free form would be addressed, and the refund payment would be forwarded to the traveler’s bank card account/personal account via the payment system they choose (PayPal, Payza, Western Union, WebMoney, Easypay, etc). You should also keep in mind such a definition as the “minimum purchase amount”, which means that you can get VAT refund only when a total cost of purchased goods exceeds the required threshold (depends on the country). Usually, VAT refund does not apply to spirit drinks, tobacco, fuel, and gold jewelry, but it also depends on the country you buy these things in. 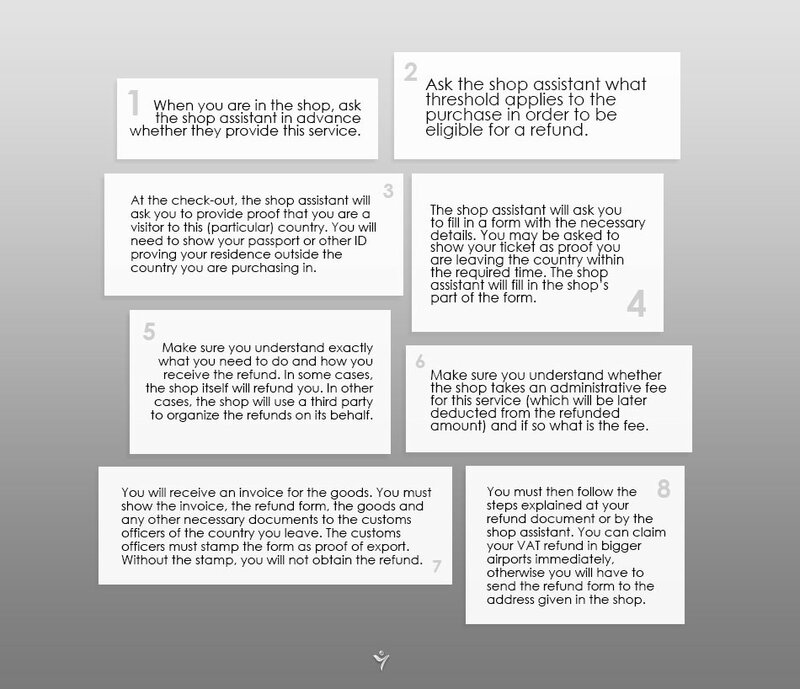 As a visitor to a specific country who is going to go back to your native state or continuing to travel and going to another country, you have the right to purchase goods free of VAT in special shops. Now it’s time to figure out who can be considered to be a “visitor”. It is any person who lives in a state outside the country, or any kind of political/economic union (for example, EU) in question. You can easily prove that you are a visitor with the help of your documentation (passport or any kind of appropriate ID), where your residence is clearly indicated. You should remember that shoppers mostly don’t get a 100% refund, since some part of the total sum goes towards the administrative charge for the service. Be attentive while following the step-by-step instructions above. Sweden – 25%; VAT rate 12% for food (Minimum purchase amount: 315 SEK).